Ambrell’s Applications Laboratory – known in the industry as THE LAB – is where we solve our customers’ most challenging heating applications every day. Dr. Girish Dahake, Sr. Vice President of Global Applications, leads a worldwide team of elite engineers who are uniquely qualified to assist you with your heating process needs. Under the guidance of Dr. Dahake, our engineers have evaluated thousands of heating applications in THE LAB, so it’s likely we have already assessed an application similar to yours. Our induction heating consultants are renowned for developing innovative and effective heating solutions that produce extraordinary results. The team’s hallmark is the ability to consistently deliver performance excellence in one application after another. It’s why THE LAB is the gold standard in the industry. 1. Send us your parts and process requirements. 2. Our engineers will analyze your process and heat your parts to develop the right solution for your specific application. 3. You will receive your parts back for inspection as well as a video of the heating process of your parts, and a laboratory report with a system recommendation. 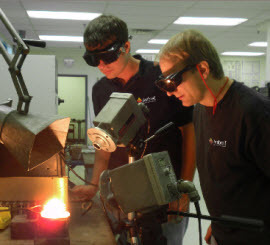 Over the last few years hundreds of companies have visited THE LAB for precision induction heating solutions for parts of every size, shape and material composition. 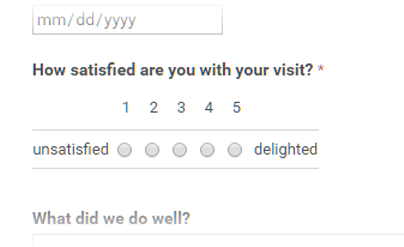 With each visit we are careful to ask “How satisfied are you with your visit?” On a scale from 1 (low) to 5 (high) we consistently receive customer satisfaction ratings between 4 and 5. We invite you to visit THE LAB where you can experience our state-of-art testing facility, which is fully equipped with Ambrell induction heating systems and hundreds of proven coils. In addition, you can interface with our engineers and see first-hand how they design prototype coils and develop innovative, effective solutions to maximize the efficiency of your heating process. 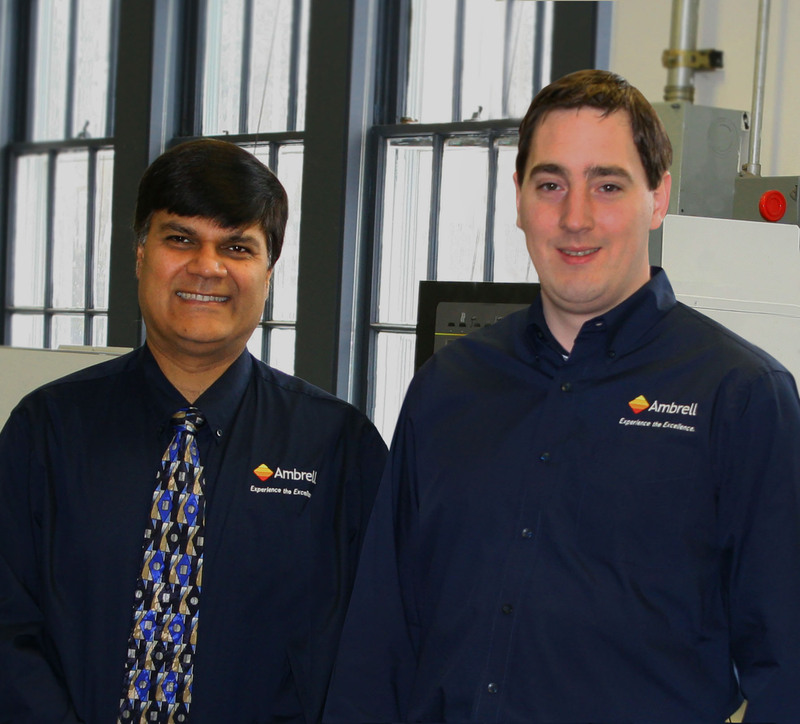 THE LAB Team Leaders: Dr. Girish Dahake (U.S.), and Frank Kuster (The Netherlands). If you have old systems that need to be replaced – why not find out if using a smaller, more efficient Ambrell induction heating system is the right solution for your process? There are measurable savings in the form of less downtime, higher production throughput, improved energy efficiency and more. Our lab equipment includes a wide array of systems and hundreds of proven coil designs, as well as rapid coil prototyping for unique applications. We have videotaping equipment for slow motion studies, computer software for thermal analysis, quenching and closed loop heat sensing capabilities. When you arrange to send us samples for evaluation, you'll receive free consulting before committing to a purchase. We've handled thousands of parts of virtually any size and shape. We may already know just what you need. Let our expert engineers analyze your parts and process requirements and provide a recommended solution. Fill out and submit our short online form to help us better understand your process and performance requirements. We’ll contact you after we have received the form. If have questions or need any assistance with the form, you can email us or simply give a call. Our staff of engineers will be happy to help. We offer state-of-the-art testing equipment, highly-skilled staff and an ISO 9001:2008-certified facility for brazing, heat treating, metal bonding, adhesive curing, melting, heat staking and many other processes. Our experienced engineers will process your parts with speed, accuracy and consistency. Take advantage of THE LAB today.